Uglyworld #558 - Hello My Name Is (148-365), originally uploaded by www.bazpics.com. Ever since Cinko saw the original set of pictures I did with his little cousins using alphabet letters to spell out their names he's been on my case about getting a pic of his own done too. This is easier said than done as this particular sweet has become rarer and rarer over the years (back in the 80's you could find them in nearly every sweet counter). 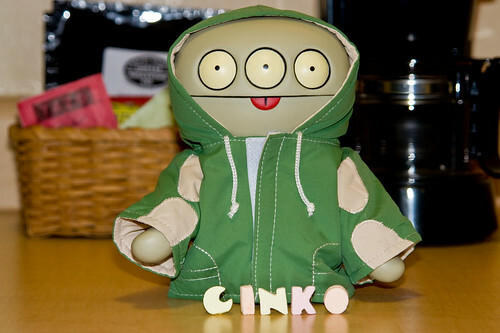 Finally I managed to track some down, so here you have Cinko, who while I shot this pic was repeating, "Hello, my name is" and then feverish pointing to the letters in front of him ensued.